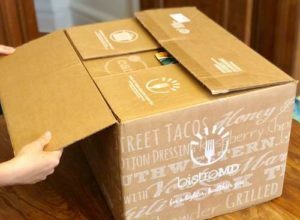 Meal kit delivery options can be challenging to navigate, but that’s what we’re here for! The industry is ever-changing, but that means there are tons of choices for subscribers, including accommodations for special dietary needs and preferences. But where to start? For vegetarians, both Sun Basket and Blue Apron both deliver vegetarian recipes that use variable and healthy ingredients. 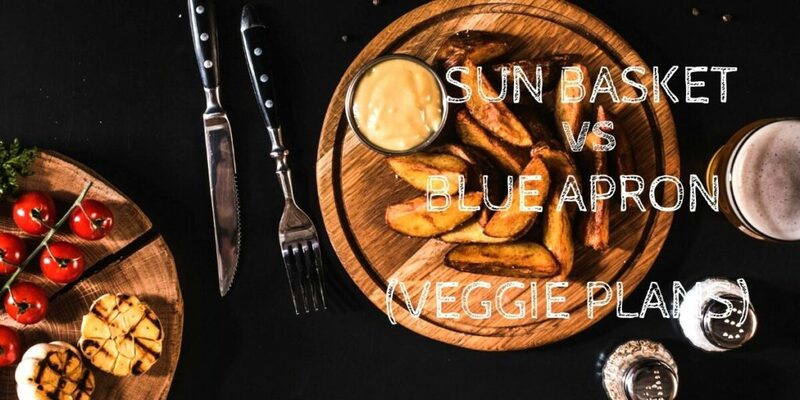 Sun Basket’s veggie plan offers a range of recipes each week that leave out meat but include plenty of flavors, and their offerings are organic and sustainably sourced. 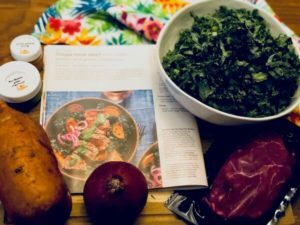 Blue Apron has been in the meal kit service business for a while, and their meat-free dishes rely on seasonal produce and flavors. Read on to see how the two compare, plus which one we recommend. 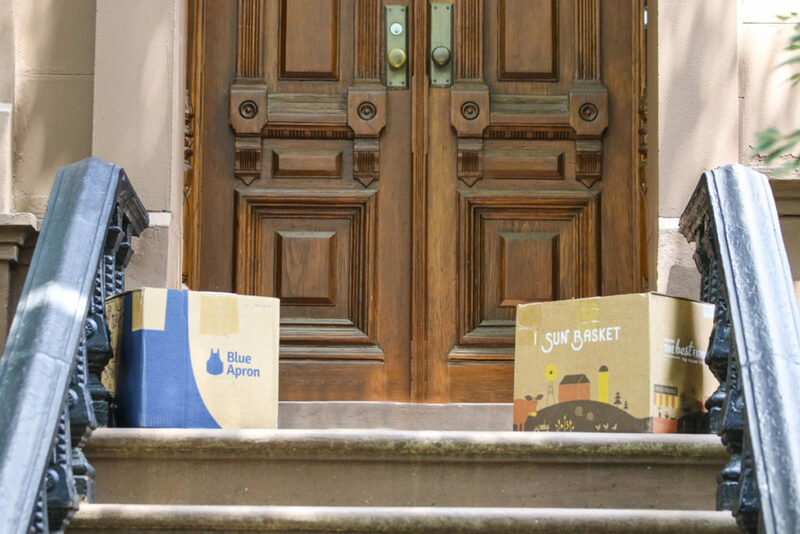 Both Sun Basket and Blue Apron deliver vegetarian meal kits plans that fit your nutritional needs and pack plenty of taste. Here are the details on both companies’ vegetarian plans. Sun Basket’s plans both accommodate vegetarian diets, but you can also switch out other menu selections to accommodate allergies or preferences. Of course, every veggie dish is nutritionally dense with organic ingredients, but you can also opt for gluten-free or even omnivore dishes if you want to change things up. Just like Blue Apron’s other menu plans, the Vegetarian option lets you choose either two or three recipes to enjoy each week. They’ll also take your potential allergies and any other preferences into consideration when creating your box, but there’s a limit to the customization you can achieve. However, choices are a bit slim here, with only three recipes falling into the vegetarian category each week. Sun Basket puts organic produce, house-made sauces and spices, and sustainably sourced dairy and eggs in each shipment of recipes. Protein sources span organic non-GMO tofu, organic eggs, cheese, beans, nuts, and more. Internationally inspired dishes range from Chilaquiles verdes to plates of chickpeas—but everything has a lot of flavor and fiber. Then again, you can create even more variety for the non-vegetarians in the family by switching out menu items week by week. With Sun Basket, there are endless choices for those who may also be gluten-free, pescatarian, and more. Blue Apron’s dishes range between comfort food like Pappardelle in tomato sauce and apple & cheddar grilled cheese to more international dishes like roasted chickpea & farro and sesame kale & quinoa bowls. Sun Basket and Blue Apron both have dishes that range in complexity and style. With Sun Basket, most recipes take about 30 minutes to prepare, and that’s about average across all of their items. While the menu items are always flavorful and inspired, that doesn’t mean they’re overly complicated. Our team found that most of the items on Sun Basket’s menu were pretty simple to prepare. With Blue Apron, they highlight a preparation time of anywhere from 25 to 45 minutes, depending on the recipe. A lot of the dishes are more sophisticated, and therefore a bit more labor intensive. 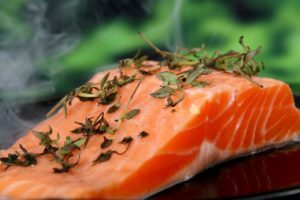 This type of cooking is ideal for those with some experience in the kitchen, as you’ll often need a bit more advanced technique to really master a recipe. Sun Basket is committed to sourcing fully organic produce from partner farms, and their dairy and eggs are sustainably sourced and organic. Most suppliers are local, even though the meals have an international flair when it comes to flavor and prep. Blue Apron’s ingredients are fresh and high-quality, and they use seasonal produce for all of the veggie dishes. 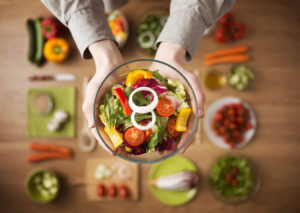 Many items involve the main course and a side of veggies, while others feature vegetables as a component in bowls or stir-fry. 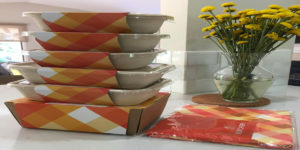 Sun Basket uses materials that are either recyclable or compostable to package each delivery. 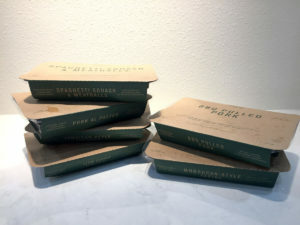 All items are sure to stay cold with the individual wrapping the company uses, and you know that their practices are sustainable and as eco-friendly as possible. Blue Apron uses plenty of ice in their packaging, and protein items tend to stay at the bottom of the box nearest to the cold pack. Each recipe has its own individual bag, so things are separated and easy to access when it’s time to cook. The liner of the box is insulated to maintain the right temperature, but packaging will also vary based on the season, the weather conditions, and where you live. Sun Basket has an app in addition to their website, and you can download the app to your device via the Apple App Store or Google Play. The app and the site let you edit the menu, change meal preferences, change your payment method, pause a delivery, and even cancel your subscription. 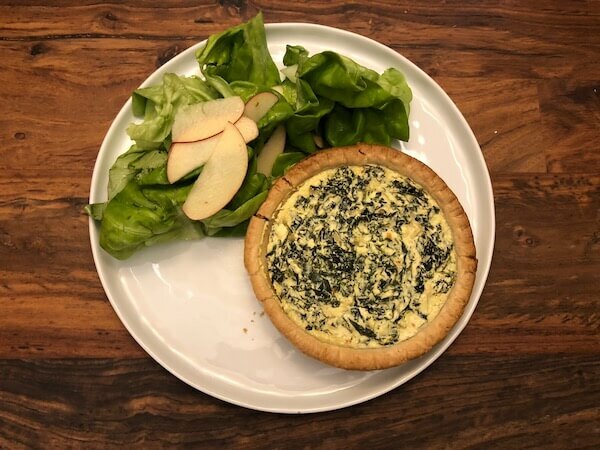 Blue Apron has a website and an app as well, and both avenues allow subscribers to sign up, customize their menus, change payment methods, update the number of recipes they receive, and view recipes, ingredient lists, and nutritional information. With Sun Basket’s plans, once you subscribe, you can customize your preferences and menus. 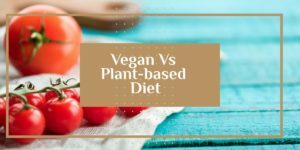 You can choose the vegetarian plan and then switch out other recipes later, and you can pause deliveries or cancel your subscription altogether whenever you want. The only catch is that you must cancel before the cutoff date, or you’ll still be billed for the upcoming delivery. Sun Basket’s meals start at $10.99 per serving, and that’s for the family-based plans. Traditional two-person meal plans start at $11.99. Blue Apron’s vegetarian plan accommodates two people with two or three recipes per week. Servings start at $9.99 each, but you can only order a maximum of three vegetarian recipes per week. Recipes aren’t interchangeable, either, although you can specify food allergies. You can also pause or cancel with Blue Apron any time, paying attention to cutoff dates for upcoming deliveries. 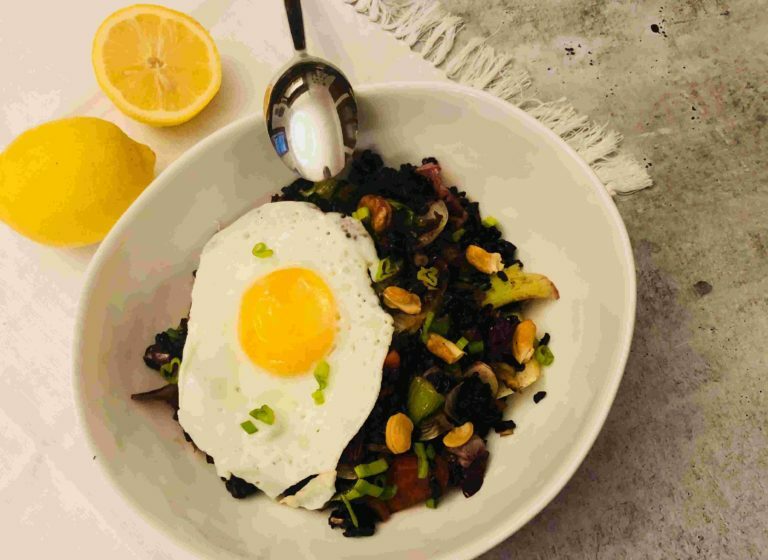 Whether you’re a new vegetarian or are just looking to change up your cooking at home, both Sun Basket and Blue Apron have exciting dishes that will make mealtime more interesting. However, we really liked Sun Basket’s wide range of recipes—they have more veggie offerings than Blue Apron—and also the flexibility with ordering recipes items from other dietary plans. Blue Apron does have more advanced dishes that require a bit more prep and technique to cook, but at the same time, they rely heavily on bread as bases for meals. In contrast, Sun Basket tends to switch out ingredients so that nothing repeats, with dishes that are often outside the box regarding creation. While Blue Apron is a good option for people who want to have fine dining experiences at home, we feel that you can’t beat Sun Basket’s range of options when it comes to flavor and ease of preparation. After all, most of their dishes take less prep time than Blue Apron’s, and they also offer super healthy and organic components in every dish. Blue Apron is committed to freshness, but they don’t claim to offer fully organic dishes. 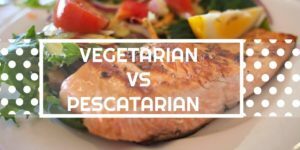 Vegetarian Vs Pescatarian: What’s the Difference?